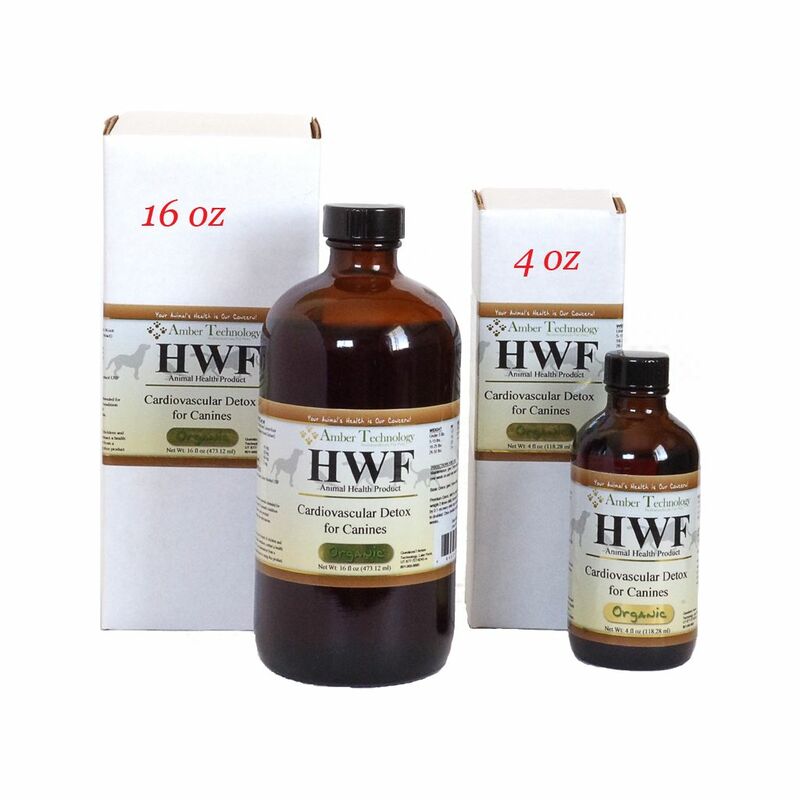 With a natural blend of carefully selected herbs HWF may provide a natural way of helping your dog maintain optimum health by supporting normal daily functions of the cardiovascular system, and assisting the body by synergistically working with the organs to detox unwanted contaminants. An examination from a veterinarian is recommended prior to using this product. Maintenance: give orally 1 time daily for 7 days, repeat one week on and one week off, continually. Basic Detox: give orally 2 times daily (once in the morning & once in the evening) for 16-32 weeks. Premium Detox: start by giving amount per weight 2 times daily (once in the morning & once in the evening), increase the amount given by 0.1 ml every other day until the amount given is doubled. Once doubled continue for 16-32 weeks. Safe use in pregnant animals or animals intended for breeding has not been proven. If animal’s condition worsens or does not improve, stop product administration and consult your veterinarian. An examination from a veterinarian is recommended prior to using this product. For animal use only. Keep out of reach of children and animals. In case of accidental overdose, contact a health professional immediately. An examination from a veterinarian is recommended prior to using this product.